Fresh from a 27-date European tour with US rock band Shinedown, alternative rock trio Press to MECO have released a cover of the song "Strangers" by Norwegian singer Sigrid. You can watch the band's performance below! In addition to the new cover, Press to MECO also have a new full acoustic EP in store. The EP will feature completely reimagined versions of tracks from their debut album "Good Intent" and widely acclaimed sophomore album "Here’s To The Fatigue" and it will be released next week - on February 15th. 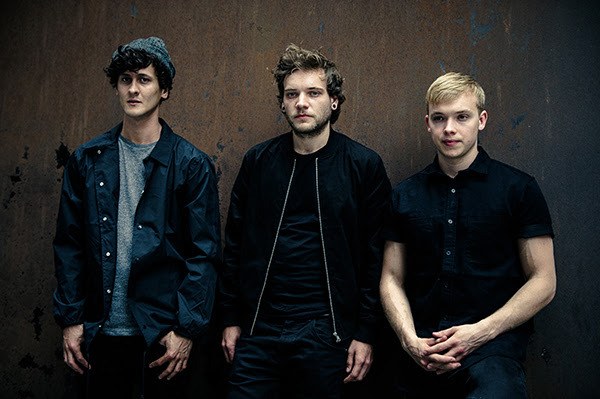 Press to MECO are a powerful and technical alt-rock trio, but after receiving widespread applause for their acoustic set at 2000 Trees Festival last summer, they got back in the studio to reimagine some of their favourite releases. They have already released a video for "A Place In It All", which features footage from their European tour alongside a complete rescoring, starring pianos and their signature 3-part harmonies, as well as for the first single off the EP, "A Quick Fix".